Nottingham and its surrounding suburbs have a brilliant public transport network – so wherever you are, you should easily be able to travel to all of our pubs by bus, train or tram – and fortunately, most of the vehicles are a bit more modern than the one in our picture! 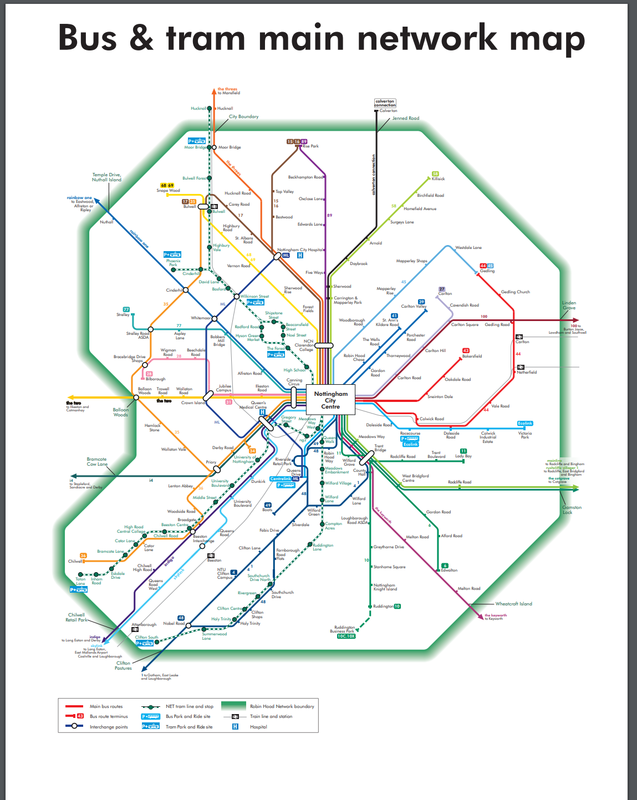 Click on the logos to plan your journey – or click on any of the maps to download to your device. 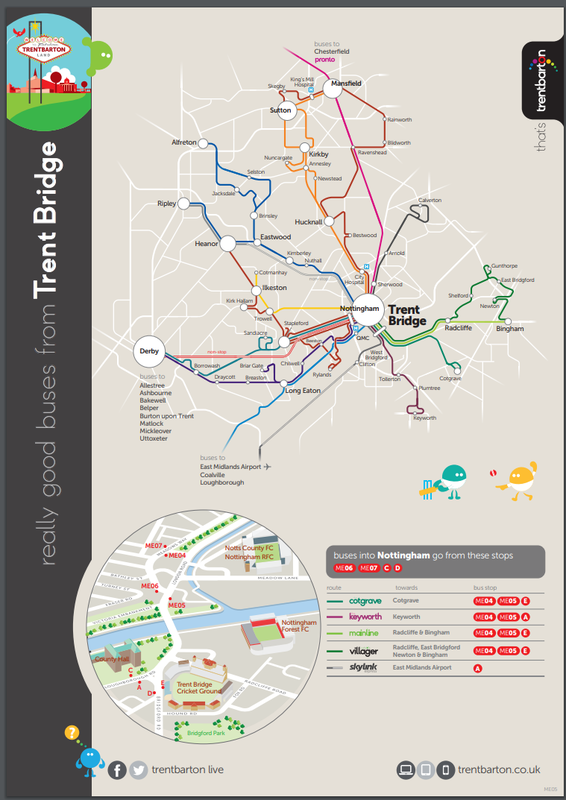 Nottingham City Transport runs frequent routes from the city centre to almost every suburb. If you’re anywhere in the Greater Nottingham or city areas, the chances are that NCT will have a service for you. 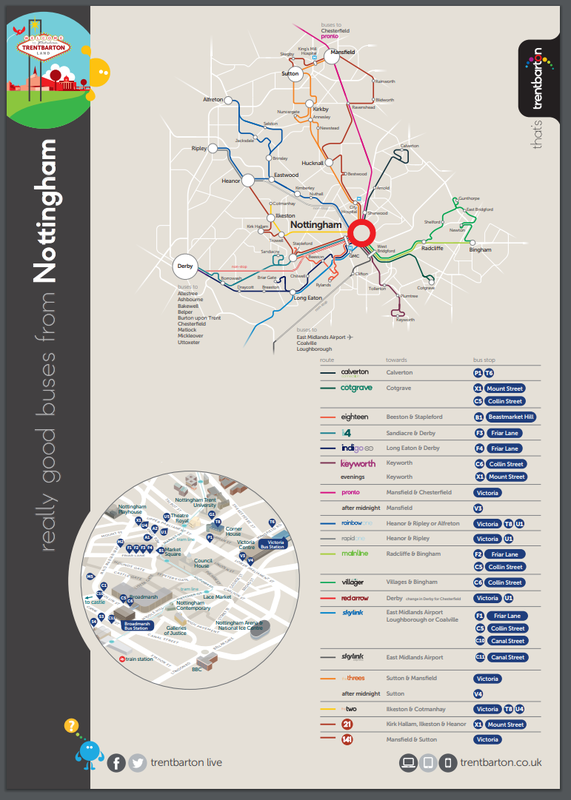 Nottingham Express Transit runs two lines, from Hucknall to Toton Lane (great for Hucknall or Beeston/Chilwell) and Phoenix Park to Clifton. 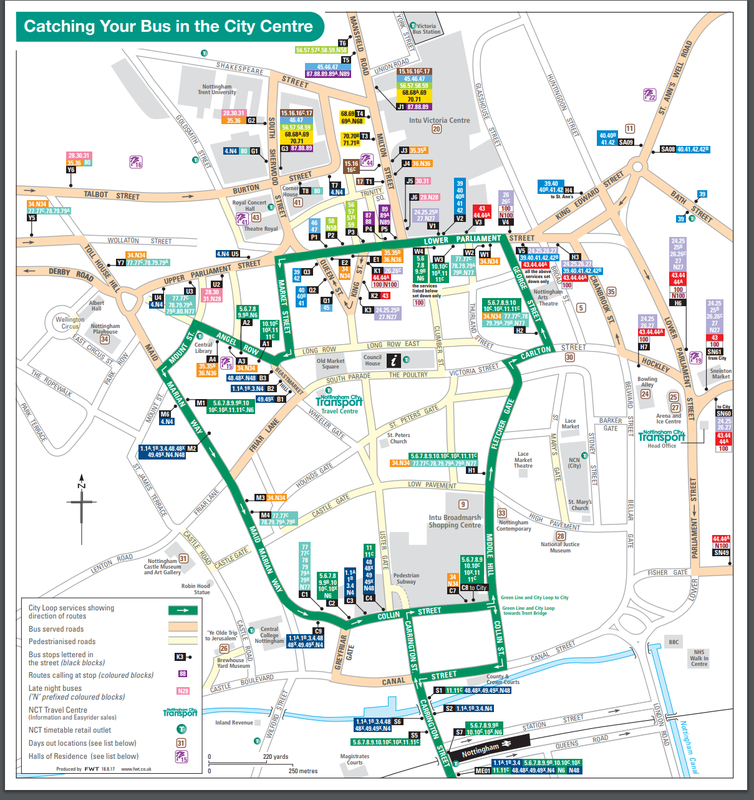 Both routes serve the city centre and Lace Market areas. Trent Barton runs an extensive network of buses from Nottingham to outlying areas, including Hucknall, Ilkeston, Radcliffe, Bingham, Keyworth, Cotgrave and Mansfield. 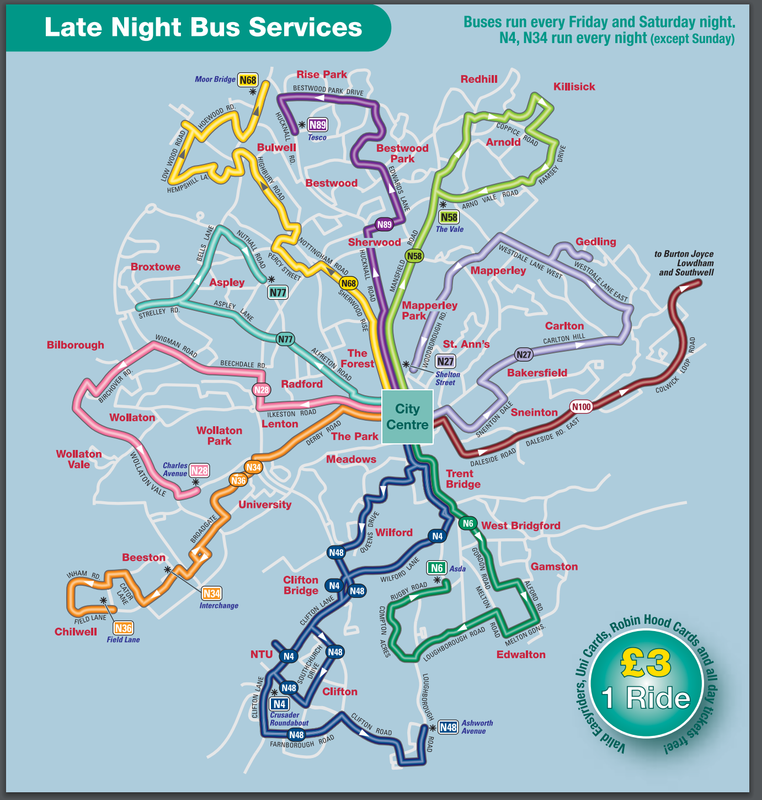 Its services are great if you live a little further afield – and some run all night at weekends. Three train operators serve Nottingham railway station. East Midlands Trains provide services from Worksop and Mansfield, and on to Newark and Lincoln, or south to Leicester and London. Cross Country Trains run through Derby and onto Birmingham and Cardiff. Northern runs a frequent service to Leeds. 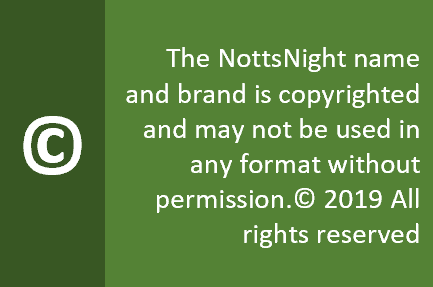 Nottingham has an array of public transport operators – and if you’re just taking one journey it may be best to pay on board. 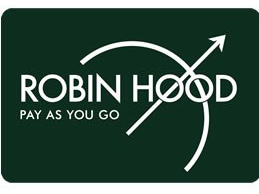 However, the Robin Hood Card offers you unlimited travel options on all buses and trams for a flat fare of £4.60 per day (August 2018 prices) You can buy a card from any of the machines on the street. Click on the logo for more details.